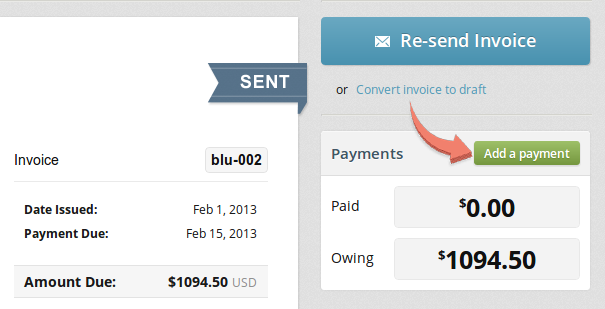 Payments received via the Paydirt PayPal and Stripe integrations are logged automatically. 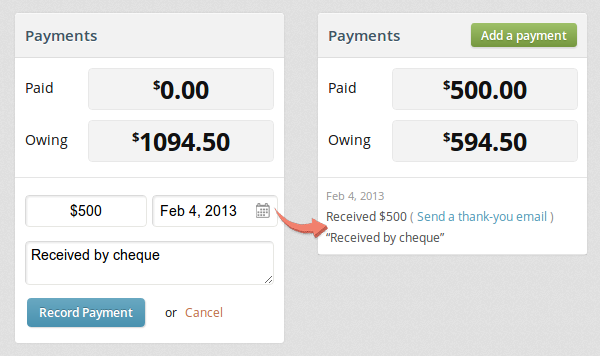 Payments may be manually added to invoices that are marked as Sent. Just click Add payment and specify the Date, Payment amount and optional notes. 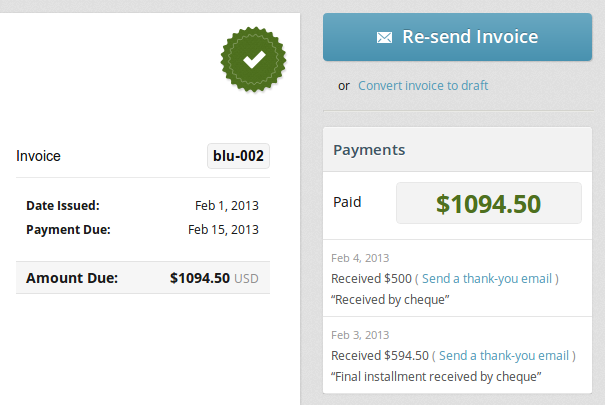 Once an invoice has received full payment, it will be marked as paid automatically. Let your client know that their payment has been received by sending a thank-you email. 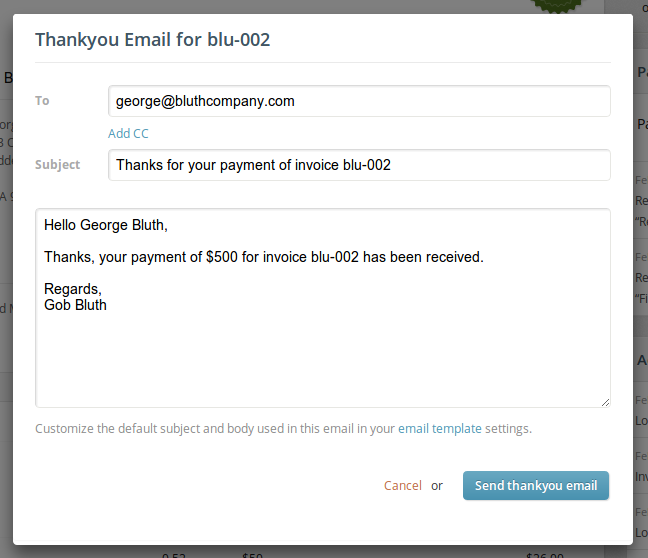 It will be automatically generated from your custom email template.